What is Ormandy FrontLine ? A flexible and scalable software that grows and changes with your business to fulfill your demands in this dynamic market condition. Ormandy expertises in providing the best possible ERP solutions to the Equipment Sales and Service Industry. It offers a perfect solution that lets you integrate your CRM, purchasing, sales, services, accounting, equipment tracking and scheduling functions so that all your processes are managed seamlessly. Its end-to-end solutions allows you to streamline your processes and ensures a smooth transition from one process to another. Ormandy’s support team is always ready to help you with whatever issues you might be facing with the software. How much does Ormandy FrontLine cost ? 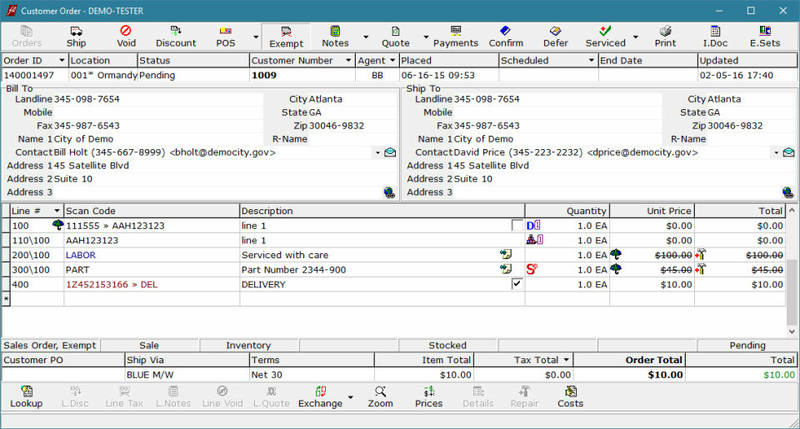 Ormandy FrontLine provides a custom pricing for their software. Contact the vendor for detailed pricing information. Disclaimer: The pricing details were last updated on 16/04/2018 from the vendor website and may be different from actual. 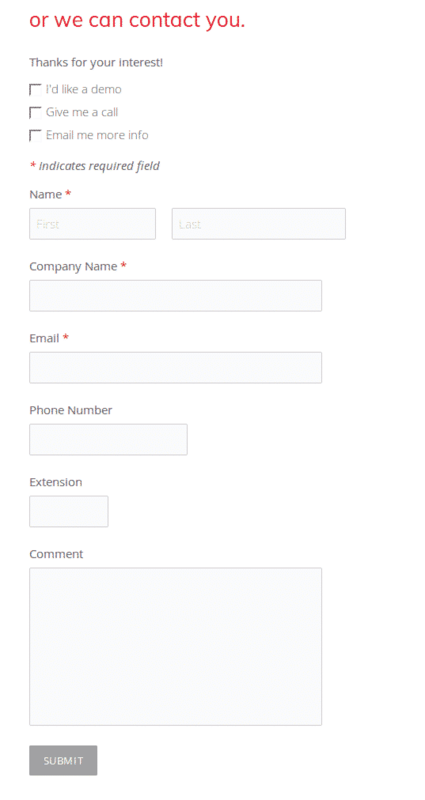 Please confirm with the vendor website before purchasing. Pros: We like being able to sort and search with so much flexibility; you can search by any field and also, can use the "wildcard". Also, it is easy to make adjustments or changes to make the system better; be it an address, name, inventory item description. Technical Support is great to help us as we have learned along the way. When we get into a mess, they have always been available to untangle the problem and help us learn from it. They have been very patient with us. Utilizing a main Point of contact to set up online meetings, training sessions and conference calls, has been very helpful to all the users in the company. We know that Tech Support is available to us any day, with any issue, and that is a great feeling. We also like how we can tell who made changes thru the Log. 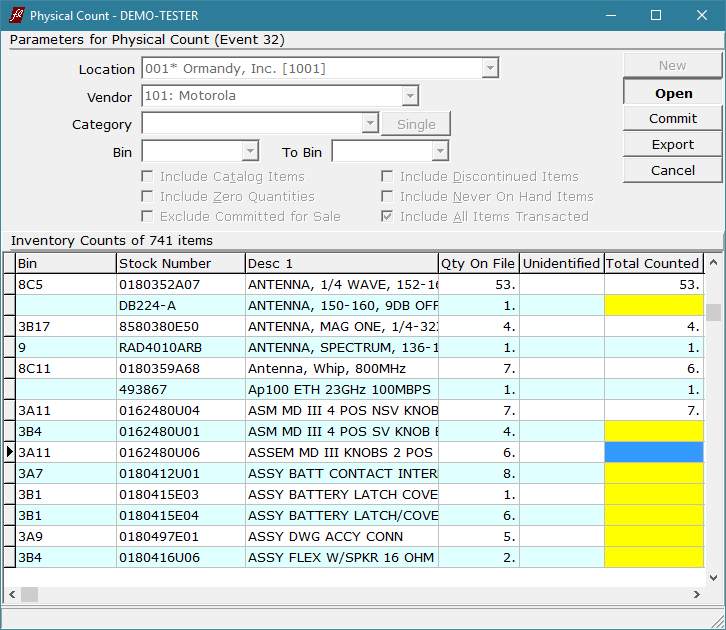 Cons: I would like to be able to filter inventory item searches by Location. We wish it was more explanatory when dealing with inventory quantities and stock on hand. It is confusing to understand Available, On Hand, Status, Received, Committed. It is confusing to know the part availability. History tells a different side of the story; its just confusing for even our purchasing expert. You have to really search to see if something is on an Open PO, if it has been ordered or not. Another wish list would be to have a better way to view Customer activity, like a dashboard. It seems one has to dig deep enough to find AR and see the Orders, Quotes and Receivables, but not everyone knows how to find that information. It would be nice to have AR-type information more accessible, and to analyze them easier. The software isn't very intuitive; once you know your way around, it's fine. We wish the Primary Vendor field was a drop-down menu or easier to search thru if you are looking for the right vendor and don't know their number. The Recurring Billing is also confusing to set up; the Unplaced?? Esets and Service Contract maintenance is a big learning curve. Overall: We are able to see all of our customers, can sort and filter through them, perhaps the last time they ordered, which is valuable information. 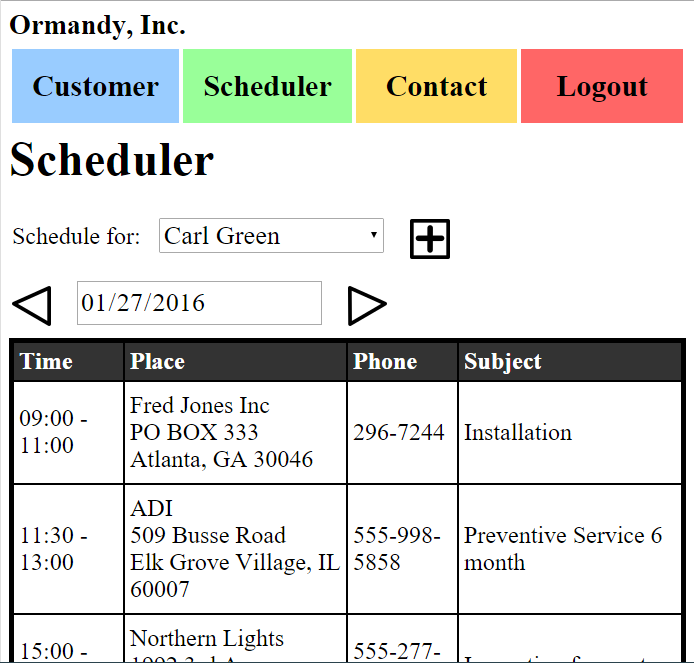 Every area of our company is better organized and accountable with Ormandy. Have been using Frontline since Jan 2015. Have been very pleased overall. Pros: We run a medical repair business and had always struggled with our previous ERP's. The functionality was never quite what we needed and support was lacking. That all changed when we found Ormandy and their Frontline product. The functionality was a big step up right "out of the box" relative to what we had used in the past. That said, like most organizations, we have some very specific needs with regard to how we conduct our business. Ormandy worked with us to understand exactly what those needs were. In the instances that the base product did not do the things we needed it to, Ormandy was able to customize the software to give us the needed functionality. Beyond all of their help during the implementation phase, their continued support since that time has been phenomenal. Whether it's general support questions, tweaks to existing - or creation of brand new - forms & reports, or even guidance on getting the most out of the software to help us operate as efficiently as possible - Ormandy has been there for us since day one. The product is very stable overall and we've encountered very few issues - especially compared to the other ERP's we've used in the past. As our company continues to grow, we feel very fortunate to have found both an ERP and a company like Ormandy to help us get where we need to go! Pros: We like the ease of use and the integration. Having everything in one place is very helpful. The staff at Ormandy is very helpful when encountering a problem or in their continued training. Cons: Sometimes finding the exact report that I needed at first was difficult, however the staff was very helpful in directing us. Great product and support staff. After we purchased the software they trained me how to set it up. Pros: Versatility. Complete integration of modules. Just started using the assemblies module and received great help learning how to set it up. Will really help on Sales orders. 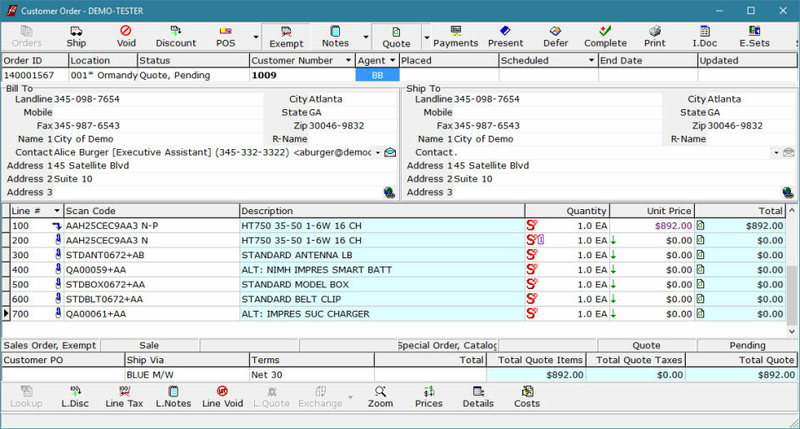 Keeps track of serial numbers for warranty and service. So if there's a dispute we have the history to support it. Cons: The one thing that would be nice is to see a preview of a post to check for errors.